Everyone who’s new to the ecommerce business wants to make their first sale. From the time they set up their online store, all they crave is that notification telling them about their first sale. You spent all that time finding the perfect platform for your online store, finding the hottest products, sourcing beautiful images for the products, going through heaps of themes to find the right one for your store, and setting everything up perfectly. Now, you don’t want to close your store because of lack of sales. Never do this! We are going to help you make that first sale! Here are the 10 most effective tips to get your first sale. Celebrities are not the only influencers out there. People who have influence in your specific niche or industry are also influencers. These can be people with a decent number of following from 20k to 500k followers on social media. These are bloggers, YouTubers, etc. Once you find the most relevant influencers for your niche, you can reach out to them to see if they would be interested in giving your product a try and mentioning it in their next video, image, tweets, etc. You should send out emails to all the famous influencers in your industry. Tell them you’d like to send free samples to them so they can mention them to their followers. Most professional influencers might say “No”, or demand money for the shoutout, but smaller influencers will be more likely to accept the samples and give you a shoutout. If they like your product and give you a positive shout-out, you will definitely get a couple of sales driven directly from their followers. But, I don’t want to give out free stuff! No worries, you can always try out other tactics to make your first sale. Check below. No matter what you are selling, you need a blog. Well, because every time you publish a new piece of content on your blog, you are technically creating more doors that lead into your online store. Also, whenever you create valuable content, your search engine rankings improve which ultimately increases the traffic to your store, more sales! Write content that engages your audience. Topics like gift guides, best product lists for the season etc. generally get the most attention and are a great opportunity to drive search engine traffic while increasing your returning visitors’ stats. If influencers aren’t very keen on giving a shout out to your products then you can try another tactic to get them to promote your brand. Getting them to agree on giving you an interview is easy, why? Because who doesn’t want to get interviewed, right? Play on people’s fantasies. You can ask influencers in your industry to participate in interviews. Interviews with influential people provide you with high-quality content for your blog, get you in contact with influencers, and it also gives your brand more awareness. You see when you interview influencers in your industry and publish their content on your blog/website, they are more likely to tell their followers about the interview. They will share the interview links with their followers and you will generate a ton of traffic. That’s even better than getting a shout out since you are also building credibility in the industry. Still, not able to make that first sale? Let’s start selling through multiple channels! It’s perfectly normal to start selling your products on multiple channels when starting an ecommerce business. If you find that your online store is not getting enough attention, then you can try out other ecommerce channels to promote and sell your products. 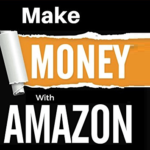 Selling on sites like Amazon, eBay, Etsy, or any other marketplace can bring you a decent amount of sales in a short time. These marketplaces do the promotion for you. If someone is on the site looking for products that you sell, they will often stumble upon your offerings as well. Selling through multiple online venues can bring your first sale pretty quickly. A newsletter is a perfect way to keep your customers and subscribers updated with the latest news, offers, sales, etc. on your online store. If you aren’t already sending out a newsletter then you should probably start doing so. The purpose of your newsletter is to keep your business fresh in your potential audience’s mind. Regular communication with your fans can easily drive social media engagement increasing your followers, bring more traffic to your store, and ultimately bring in extra sales. Use services like MailChimp to easily create and send newsletters. Providing your customers with discount codes and coupons is another great way to make your first sale, maybe, even more than one sale. However, I recommend that you don’t overdo this because you run the risk of losing money. People love discounts and coupons codes! Best way to offer discounts is set a certain threshold. For example, you can offer a 10%-15% discount to every customer whose order total reaches a certain amount. You can also entice the visitors to purchase by offering free shipping on a certain amount of order total as well. You can combine this step with the next one to increase your success rate. Never overlook the power of word-to-mouth marketing. Your friends and family should be the first people you should target with your online store. All you have to do is send it to them through Facebook, WhatsApp, or any other social media channel that you use. Ask them to buy from you, if it’s something they want to buy. Combine this with Tip# 6 to boost your chances of making a sale. Even if your friends and family aren’t interested in buying from your store, they can share your links/products on their social media feeds and ask their connections to share it further. This is a great way of putting your name out there and probably bring in a few sales as well. Having your online store full of rich keywords that are relevant to your products is an excellent way of having a really strong SEO (Search Engine Optimization). Making sure your site is ranked on relevant keywords will help you bring in traffic through search engines like Google. People who search for relevant keywords will end up on your online store and most probably will make a purchase as well. It also provides you with more opportunities to be discovered by new people. If your store looks terrible then you can pretty much be sure that you’re not going to make many sales. When visitors come to your online store, they want to see something aesthetically pleasing; if your store isn’t good-looking and gives off a sloppy vibe, then visitors will never put their trust in your brand. You need to make sure that your online store looks as good as possible. Try to use clean templates, colors that go with your products, and make sure the overall design is simple and easy. If you drive traffic to your site through ads or search engine traffic (or just through social media), not all of them are going to buy from you. But what you can do is try to collect their emails by offering incentives (e.g. holiday gift guides, “get discount alerts”, wishlists, etc.) and target them with campaigns later. Learn how you can use email marketing to increase sales on your online store. If you can create an engaging video about your products then you can quickly bring in a lot of sales. Check this video by (IWantOne). These type of videos can be promoted in groups (like related to physical therapy or exercise). Such videos can lead to either direct sales or you can create a custom audience of people who viewed this content and target them through ads later. I’d like to say that when you start your first ecommerce store, all things can be pretty overwhelming for you. If you don’t have a plan then it will quickly burn you out, so don’t let that happen to you. Make sure that you understand how social media works and how you can adapt your store to turn those social media visitors into paying customers. A consistent blog or newsletter will ensure that customers keep coming back to your store for more purchases. So, you see there are so many things that you can do to get your first sale, if you do it right, you will make more than just one sale! Now go and get busy! The Future of eCommerce 2018 – What it Means for your Business!